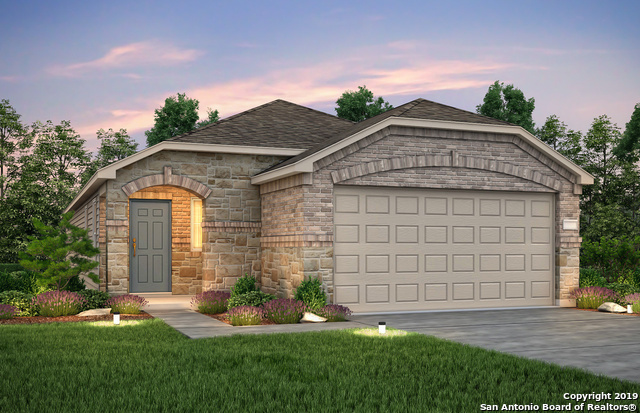 All SILVER CANYON homes currently listed for sale in San Antonio as of 04/24/2019 are shown below. You can change the search criteria at any time by pressing the 'Change Search' button below. 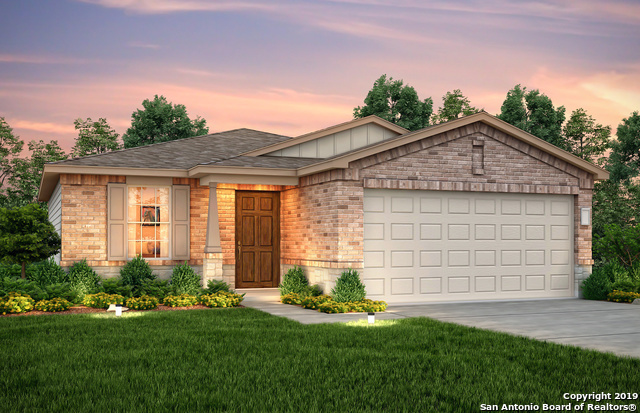 "The Mesilla's thoughtfully designed layout offers flexible living space, downstairs guest and upstairs game room. Additional features includes 9 foot ceilings, SS Appliances, granite countertops, kitchen island, walk in shower in owner's bath and covered patio. Home includes the backbone for the Pulte Smart Home. Please contact onsite sales counselor for more details." "This beautiful 4 bedroom two story home with master down. There is a study downstairs and big game room upstairs, lots of space to grow. This home is barely lived in and still has builder warranty. Water softener plumbed, beautiful neutral colors throughout the home. Beautiful sunset view with interior shutters to reduce heat. You won't be disappointed, a must see." "The Springfield boasts two story foyer leading into open gather and dining spaces plus upstairs game room. Additional features include 9 foot ceilings, SS Appliances and granite countertops, Raised bar top with granite in kitchen, tile flooring throughout and covered patio. Home includes the backbone for the Pulte Smart Home. Please contact onsite sales counselor for more details." "The Hewitt's open plan offers luxury and space, with a kitchen overlooking the great room and dining area and Owner's Suite with walk-in closet. Additional features include Covered Patio, SS Appliances, granite countertops, garden tub at Owner's suite and pre plumb for water softener. Home includes the backbone for the Pulte Smart Home. Please contact onsite sales counselor for more details." "The Lincoln's first floor features open living space and a first floor guest suite with full bath. Additional features include SS Appliances, 36 Espresso Kitchen Cabinets, Linen closet @ Owner's bath, game room with tray ceiling, tile flooring throughout and covered patio. Home includes the backbone for the Pulte Smart Home. Please contact onsite sales counselor for more details." "The Hewitt's open plan offers luxury and space, with a kitchen overlooking the great room and dining area and Owner's Suite with walk-in closet. Additional features include, Study/Office, Covered Patio, SS Appliances, granite countertops, walk in shower in owner's bath and pre plumb for water softener. Home includes the backbone for the Pulte Smart Home. Please contact onsite sales counselor for more details." "This ADORABLE 2 story home is a must see!!! Built in 2017 in a quite community, minutes away from a community park/playground and close to Government Canyon State Natural Area, shopping & more! 1st floor offers a large family room, spacious kitchen with breakfast nook, big backyard with covered patio, perfect for entertaining. 2nd floor offers a master bedroom w/ work in closet, secondary bedrooms and a loft. This house is barely lived in and still has builders warranty. Schedule your showings "
"Captivating home on a Cul-de-sac! Come see two-story home with 3 bedrooms, bonus room, 2 full bathrooms and laundry room all upstairs! Gorgeous wood floors in living room, island kitchen and so much more. 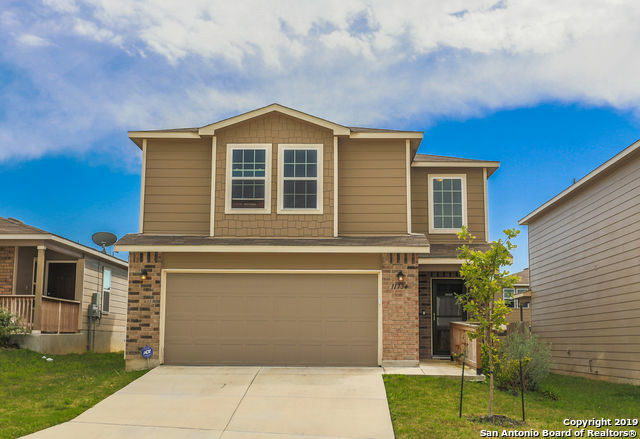 Minutes away from a community park/playground and close to Government Canyon State Natural Area, shopping & more!" "The one-story Taft features open-concept living space that flows from the great room to the kitchen and dining area. 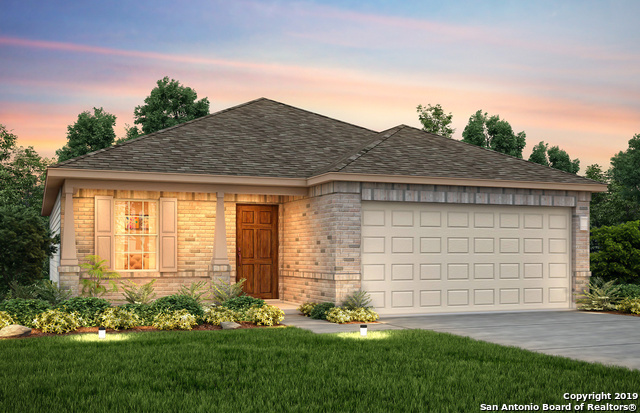 Features include stainless steel kitchen appliances, raised bar top with granite in kitchen, a study, walk in shower in Owner's bath, tile flooring throughout, and covered patio. Home includes the backbone for the Pulte Smart Home. Please contact onsite sales counselor for more details." "The one-story Taft features open-concept living space that flows from the great room to the kitchen and dining area. 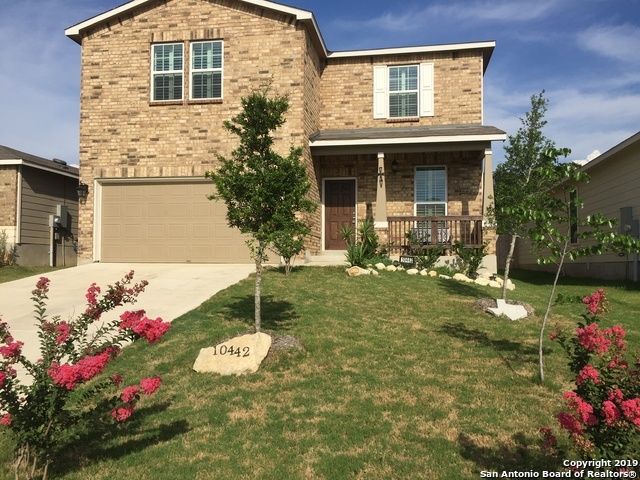 Features include stainless steel kitchen appliances, raised bar top with granite in kitchen, walk in shower in Owner's bath, tray ceiling in Family room, tile flooring throughout, and covered patio. Home includes the backbone for the Pulte Smart Home. Please contact onsite sales counselor for more details." "The one-story Taft features open-concept living space that flows from the great room to the kitchen and dining area. Features include Kitchen with Island and granite, 36 espresso kitchen cabinets, tile flooring throughout, walk in shower in owner bath, tray ceiling at family room and covered patio. Home includes the backbone for the Pulte Smart Home. Please contact onsite sales counselor for more details."